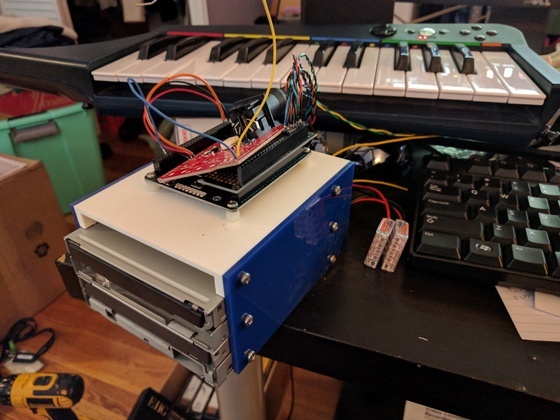 It's been bothering me that the little MIDI-controlled orchestra I've been building has no bass instruments. 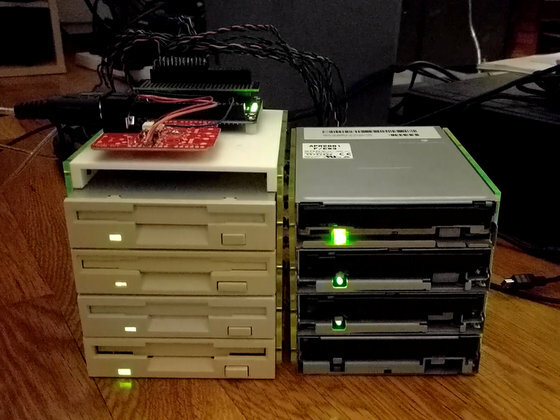 I was helping my dad clean out his basement and ended up saving a bunch of floppy drives, thinking I might build something like the Floppotron or Moppy. 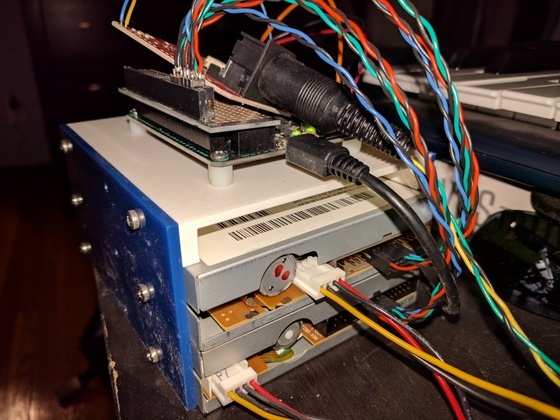 All of the similar projects I've found use Arduino, but a micro seemed wasteful to me; controlling the floppy drives screamed out for programmable logic. I got a Mojo dev board from Embedded Micro and modified a Sparkfun MIDI shield to speed the project along; all of my Verilog and C code can be found on Github.